Here is a market update for the three Beach Cities, Redondo Beach, Manhattan Beach, and Hermosa Beach. The month of September had more inventory than any month in the past five years (excluding the summer months of 2016). September also had the lowest volume in sales as compared to any month in the past few years. This slow down – of more properties sitting on the market and less properties being sold – can be explained by a few changes in the marketplace. First, buyers don’t have the same urgency to make a purchase. They have demonstrated more patience and are less likely to make an offer on a property that is less desirable. They are no longer submitting offers on every or any property they see. They are taking their time. Second, some sellers have priced their homes too high. With buyers coming to their senses, sellers can’t put outrageous price tags on properties any longer and expect them to sell immediately. Third, the market has been hit with properties that are less than desirable. These homes, that are impacted negatively by location or some other odd property feature, sit longer on the market as well. What does this mean or buyers and sellers? Buyers have an opportunity to get a good deal. They can afford to negotiate harder and demand more terms of a sellers. Case in point, more contingent offers are getting accepted. During the height of the market, a contingent offer was dead in the water. There were too many all cash or high down payment offers in play that a seller didn’t have to entertain a buyer who has to sell something first before they can buy. Sellers need to make sure their homes are show-ready in order to garner as much money as possible for their properties. Buyers must have a strong emotional response to a property in order for them to make a strong offer. Sellers also should employ the proper pricing strategy or risk sitting on the market. How’s the (Real Estate) Market? If you ask agents in the South Bay what’s going on with the market, you get some puzzled looks. The market that was red hot, all of a sudden is not. And it’s hard to put a finger on what is happening, whether it’s an anomaly or a sign of a downtrend or if we’re just plateauing. I personally think we’re stuttering, but it may be indicative of a few environmental and economic conditions that may be temporary. 1. The volatility of the stock market was undeniably sobering. Whether people lost money or were just fearful that they were going to lose money, it put a damper on buyer mentality. Buyers may have pulled back, as they do, when they don’t feel flush with cash. As the market settles down, this feeling goes away and buyers may resume their hunger for purchasing real estate. 2. We all know that a great part of the southern California market has been propelled by Chinese money. And as of late, the exchange rate has shifted in favor of the USD. Costing them 10% more, the Chinese buyers seem to have pulled off from their purchasing frenzy… for now. On top of this, and maybe more importantly, the Chinese government has put new caps on the amount of yuan that can be withdrawn outside their country. 3. And finally, it’s hot. I mean it’s really hot. I go so far as saying, it’s “Africa hot”. I believe that the heat wave that has hit Los Angeles and the Beach Cities has an impact on real estate. And why not? We know that horrific winters on the east coast put a halt to the market there. It’s been so hot here in the South Bay… Hermosa, Redondo and Manhattan Beach have been experiencing weather in the high 80s which is normally unheard of at the beach. And people don’t know how to cope with it. There’s very little A/C, very little reprieve. I think to some extent people have actually been beaten by the heat. So there’s little motivation to go shopping for a home when all you want to do is stick your head under the faucet… which is not even kosher in the drought that we’re having. So we’ll see in the coming months which direction the stock market and the temperature take. And we’ll see if this is just a hiccup or a sign of a slowdown to come. A couple of new listings that came on the market this week in North Redondo Beach have set price tags that are pushing the envelope. It will be a great litmus test to see if the market is in deed still climbing at a steady pace as we move into the heart of 2014. 2022 Warfield Ave, #1 is a corner, detached townhome. These corner units are extremely popular because they feel like single families with their own, private driveway and what feels like a defined space, separate from your neighbor who shares the lot with you. The townhome on Warfield has a lot of space. The floor plan is not cookie cutter, and the kitchen has been updated. On the other hand, there is carpet throughout instead of hardwood (albeit, new carpet), and the bathrooms are original. This is a 1990 build. No other corner townhomes, built from 1988-1995 with less than 2600 sq feet have sold for more than $836,000, according to the MLS. This was the sales price for 2509 Phelan Lane which sold in October 2013. However, 2023 Nelson Ave, also a corner 1990 build, went into escrow after 12 Days on Market with an asking price of $899,000. This townhome also has an updated kitchen, but bathrooms. Then we have 2114 Huntington Lane, #A. This is a detached front townhome that was built in 1990 as well. It has the older floor plan with the living room, family room, formal dining room and breakfast nook. The bathrooms haven’t been updated in this one either. The kitchen has granite counters, and laminate floors were installed throughout the downstairs. The home does have a nice feel. It gets good light. The seller is asking $849,000. The last attached townhome that sold with similar condition and square footage was 1908 Havemeyer Lane, #A which sold for $830,000 in June 2013. The trend is becoming clear. Buyers are spending more money and getting less. If you want to buy a newer townhome or one with an upgraded kitchen and bathrooms, you will be easily pushing $900,000. 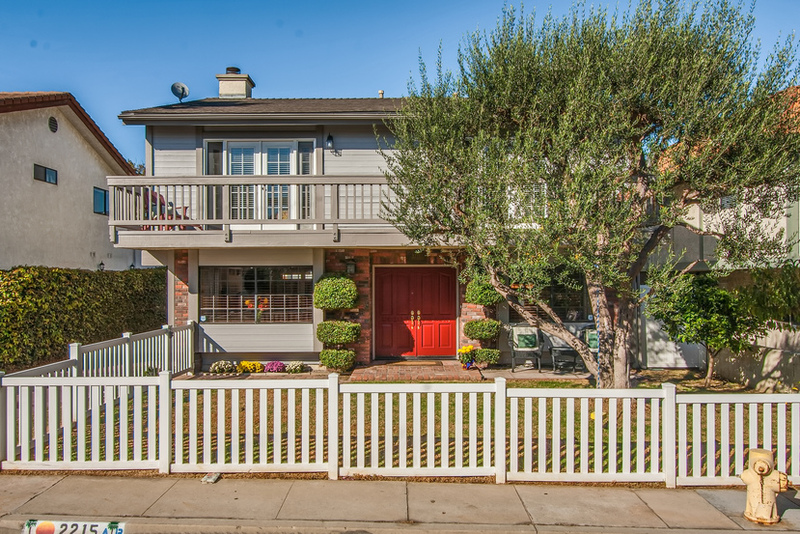 Case in point, 2517 Huntington Lane, #A is a 2005 built, detached townhome. It shows very well with some nice upgrades. However, it’s only two blocks from Inglewood Avenue. This property still got 7 offers, at least a few of them were over the asking price of $899,000. If inventory stays as tight as it has been, prices will continue to rise. What you could buy for $905,000 today could be $935,000 a few months down the road. Once this listings close, I will circle back around to this analysis and confirm if the trend is still moving on up. 2013 proved to be a good year for real estate. 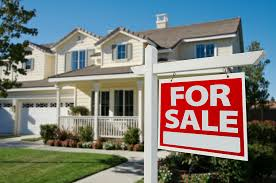 Listings received multiple offers, prices increased rapidly, buyers got historically low interest rates. A total of 184 homes sold this year. 176 of the sales were on the MLS. 8 of the sales were off market and/or pocket listings. The average Days on Market was 51. The average List Price was $725,000. The average Sold Price was $722,150. There were a total of 14 short sales and 2 REOs. 2013 was a strong market. Many homeowners gained equity in their homes due to rising prices. The number of distressed sales decreased immensely from the two years prior when they represented approximately 15% of the market. Prices continued to climb and buyers continued to pay those prices. 2210 Robinson Street: 5 bedroom new construction with 3,078 sq. feet. The record is still held by 2615 160th Street which sold for $1,500,000 in 2011. This was an off-market sale which may not accurately represent market value at that time. 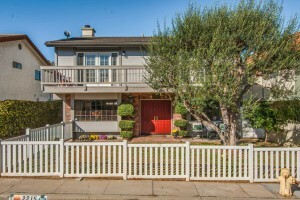 The next highest sale was 2110 Ruhland Ave which sold for $1,450,000 in 2008. 1931 Nelson Ave, #B: 4 bedroom with 3,580 sq. feet. Built in 2005. The record is held by 2023 Dufour Ave which sold for $1,275,000 in 2007. The pace at which prices are climbing has slowed down, but inventory is still low. For the most part, sellers are getting their asking prices and a little more. As homeowners gain equity, we may see more inventory hit the market in 2014. But until then, there’s enough demand to continue to bolster prices. If you’re a seller, the lack of competition makes this a great time to sell. With few choices, you can garner more money for your property. As a buyer, you should be as aggressive as possible. Buyers are competing with each other because inventory is low, making it very easy to chase the market up. For example, if you were buying a 4 bedroom town home built in the 90s in North Redondo in the beginning of 2013, you would pay approximately $775,000. Now, a similar town home would sell in the mid $800s. A newer townhome typically sold for mid to high $800s a year ago. Now, they are selling for low to mid $900s and closer to $1,oo0,000 for the larger ones. I sold this home for $26,000 over asking for $775,000. It received three offers in three days. Redondo Beach had 70 transactions in October, the highest number of the three Beach Cities. Manhattan Beach had 40 and Hermosa had 24. The trend appears to still be going up. Inventory is still low, and there’s enough demand to continue to push prices up. I don’t think we’re going to see the frenzied pace that we saw in the beginning of 2013, but there will be plenty of activity. The real estate industry could be tapered by the new Qualified Mortgage standards (effective as of January 10th) which require a borrower’s debt to income ratio to be no more than 43%. Of course, this could just mean that the big lenders are going to continue to grab the lion share of the business since they are less impacted by the QM guidelines; they can hold on to their loans rather than selling them on the secondary market which is dictated by Fannie and Freddie.